Lets start with the basics: the skin is the largest organ in the body, though we often neglect proper maintainence of this vital tissue, it is still there for us, protecting us, regulating our temperature, helping us feel our way through life, and doing its best to make us look good. This can be tough though, on a given day, your skin is battling UVA/UVB rays, pollutants, toxins, free radicals and harsh weather conditions. Helping restore and revitalize your skin is essential to not only look your best, but feel your best too-luckily this is easy to do! Proper skin care is established at home, and supplemented at your esthetician’s office. Start with a consultation with a professional to determine what skin type you have, your problem areas, and the products that are going to be best for you. 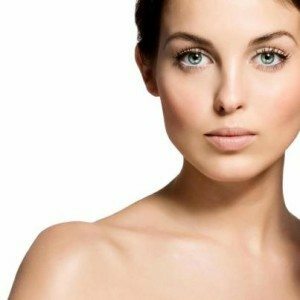 We offer complementary consultations here at Rock Creek Wellness, so you can establish your skin care routine at home with our top of the line cosmopharmaceuticals-we really like Image Skincare and Regenica, as these two companies deliver time and time again amazing results with cutting edge technology! Once our experienced esthetician has diagnosed what skin issues you’d like to address, she may recommend a treatment from our repertoire of advanced esthetics. From Chemical Peels, to HydraFacials, to Laser Skin & Hair Procedures, to the revolutionary Venus Viva, we have a treatment option that will show you stunning results after only a few sessions-especially in conjunction with an active at home skin care routine! Now let’s talk products – get ready for some knowledge. A cleanser that will remove impurities and start the repair work from the ground up-so to speak. A universal favorite is Image Skincare’s Total Facial Cleanser from their Ageless line. This powerful 3-in-1 body and facial cleanser that rinses away makeup and oil, balances the pH of your skin eliminating the need for a toner with a gentle glycolic acid blend, and begins the exfoliating process to reveal smoother skin. Make sure you are cleansing both morning and evening to keep pollutants and free radicals at bay! An exfoliator/masque combo that goes in for the deep clean, removes dead skin cells and improves surface texture-it’s time to do work. Many of the cleansers we carry here contain glycolic acid or vitamin C, which are exfoliators themselves-these work on a much deeper level than a simple physical scrub, as they can penetrate the epidermis and work on cell turnover. Those combined with a weekly masque/exfoliator combo will give you the best results. We like the Vital C Hydrating Enzyme Masque for exfoliation and hydration all in one! This gently exfoliating hydrating enzyme masque infused with Vitamin C sloughs away buildup of dead skin cells while infusing the skin with essential anti-oxidants, vitamins and minerals and provides continuous hydration for hours after application-when it’s tingling, you’ll know its working! For even more skin resurfacing power, combine it with the Total Resurfacing Masque which contains an exfoliating blend of hydroxy acids and micro crystals to resurface the skin, by gently sloughing off dead cells and diminishing brown spots-this resurfacing masque is a true at home mini peel! A serum that works on the cellular level to ignite cell turnover, reduce fine lines and wrinkles, hydrate, and restore that youthful glow. The MAX Stem Cell Serum is one of our favorites, as it utilizes plant-based stem cell technology to deliver incredible results. Pro Tip: Be sure to apply your serum before your moisturizer so it can penetrate your skin, as its molecules are much smaller than that of a moisturizer-finish with your moisturizer (or sunscreen for daytime) to lock in these powerful restorative properties. A moisturizer that replenishes skin and works to reverse damage accrued throught the day is always good. A GREAT moisturizer will do all that and a bag of chips-and by bag of chips we mean introduce antioxidants and stem cell technology into the skin to go beyond hydration. We love The MAX Stem Cell Crème with Vectorized-Technology and Reginica Replenishing Crème, as they both use stem-cell technology to revert skin to it’s former radiance. This is positively the cutting egde option in skin care products, as it ignites your cells own production to create new cells and restore your skin-giving you firmer, brighter, truly younger skin! A sunscreen to protect your skin, and preserve all the repair work you’ve been doing for your skin! We adore Image Skincare’s Prevention + line as it delivers superior sun protection while helping restore the skin by delivering antioxidants and moisture. It also comes in several different options-from tinted moisturizers, to oil-free matte, to SPF 50 for those with extra sensitive skin, this line has a product for you. With its smooth, lightweight, non-greasy yet moisturizing formula that works perfectly on it’s own or under makeup, there’s no reason to go without daily sunscreen anymore! You have to live in your skin for your whole life, why not make it the best it can be? Call or come by today for a complementary consultation and discover how truly radiant your skin can be-what are you waiting for?